South Carolina’s game wardens work for the state’s Department of Natural Resources (DNR) and are known as DNR law enforcement officers. South Carolina has a diverse array of habitats and natural resources that require protection, including everything from forests to plains to dunes. DNR law enforcement officers work to protect wildlife in South Carolina, which involves everything from ensuring feral hog hunting laws are followed to arresting those who harvest endangered sea turtle eggs, which are sold as as aphrodisiac on the black market. In addition to their service as law enforcement agents, South Carolina’s DNR law enforcement officers promote conservation efforts and coordinate hunter and boating safety classes. These officers are accountable for all wildlife violations and conservation within their assigned territory, so these positions can be highly challenging. However, these challenges appeal to many residents of South Carolina and the selection process for the few jobs that become available each year can be highly competitive. Ideal candidates for DNR law enforcement officer positions are in excellent physical condition, have law enforcement experience, and are passionate about the outdoors. Officers must be prepared to withstand the elements and speak both compassionately and objectively to members of the public. The diverse set of roles carried out by South Carolina’s DNR law enforcement officers means that candidates must be prepared for fierce competition. Citizenship: Proof of U.S. citizenship or of permanent resident alien status for those who are eligible and have applied for citizenship. Must be a resident of the state at the time of appointment. License: A valid South Carolina-issued driver’s license is required. Individuals must maintain a mostly clean driving record. Academic Credentials: High school diploma or GED is required. 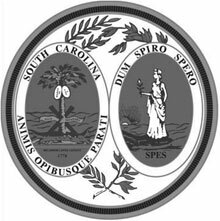 Candidates must possess a bachelor’s degree or an associate’s degree AND either two years of related experience or four years’ service as a SCDNR DLEO. Related experience will be reviewed on a case-by-case basis. No tattoos or body art permitted on any part of the body that would be visible while wearing any DNR uniform or official attire. Officers are prohibited from willful mutilation of the body or any body parts in any manner. Medical Condition: The applicant must be examined by a licensed physician to ensure that they are in good health. Hearing: The applicant must have hearing adequate to perform all the essential duties and functions of a warden, including long distance, directional and voice conversation hearing. Vision: Visual acuity correctable to 20/20 in each eye. Normal binocular color vision with a full field of periphery is required. Candidates who have undergone corrective eye surgery to meet state minimum vision standards may be required to submit additional information. Mechanical aptitude and logical thinking. The US Department of Labor, Bureau of Labor Statistics reported that the median salary for South Carolina’s DNR law enforcement officers was $45,920 ($22.08 hourly) as of 2016 while the overall average was $47,280 ($22.78 hourly). Experienced DNR law enforcement officers earned salaries that fell within the top 10%, making an average of $65,010 ($31.26 hourly) that year. The DNR itself showed the starting salary for the “Law Enforcement Officer I” position for new hires with limited experience to be $33,608 as of 2017.